John Shackleton has a background in sports psychology and has coached world champions and Olympic medallists. A top-level swimmer himself in his youth, he went on to become a professional coach in swimming and triathlon. In his quest to improve performance he turned to sports psychology to help his athletes achieve their potential and gain a competitive edge. and more. 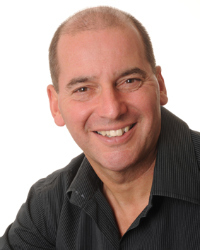 John will work with you to ensure that his presentation is exactly right for your organisation.